Dr. Bucshon's Statement on Family Separation | U.S. Congressman Larry Bucshon, M.D. 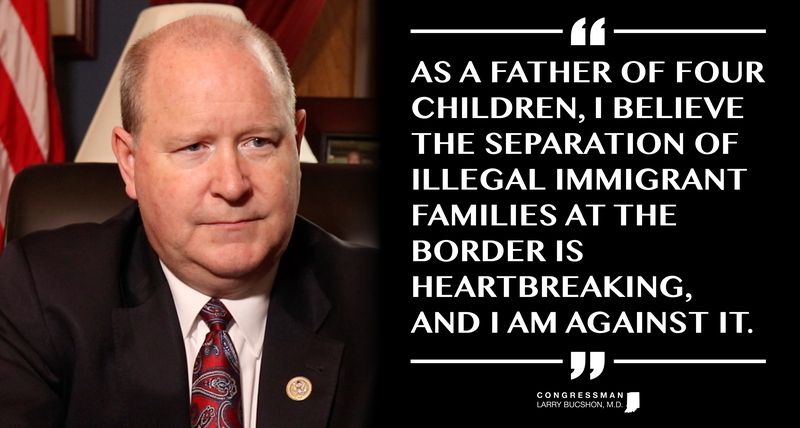 "As a father of four children, I believe the separation of illegal immigrant families at the border is heartbreaking, and I am against it. Our nation’s immigration system has been broken for many years, and this is just the latest example of how broken it truly is. We are a sovereign nation of laws, and it is the duty of the executive branch to enforce those laws. However, we are also a nation of compassion. I believe the best solution to the situation at hand is to pass legislation to fix our nation’s broken immigration system and truly secure our borders, strengthen our legal immigration system, keep families together, and ensure that our nation remains true to our heritage as a nation of immigrants. I hope the House will soon have the opportunity to vote on such a solution."